A new project, involving four ITOs including Competenz, is developing and piloting practical activities and tools to help Pasifika learners build their skills on-the-job. Past studies have identified issues that can make it hard for Pasifika learners to get ahead. The focus of the new project is a practical one: working with our account managers, companies, Pasifika learners and community groups to identify and test tangible solutions. 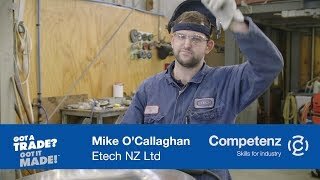 Possible candidates for study include identifying ways to raise the profile of trades careers among Pasifika jobseekers and the wider Pasifika community, and to support Pasifika learners on-the-job to build their skills. Pacific Perspectives (a Wellington-based consultancy specialising in Pasifika issues) is carrying out the research. Ako Aotearoa (the National Centre for Tertiary Teaching) is funding the research.